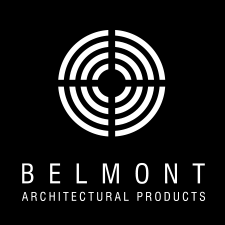 Belmont has utilised its considerable experience to provide the beautiful solution to many architectural grille installations for a number of years. We have progressively developed our range of options and are now pleased to introduce a wider range of styles and patterns to inspire further imaginative applications. A versatile range of stainless steel qualities provides a product that is corrosion free, increased accessibility, reduced maintenance at a competitive price resulting in a lower carbon footprint and satisfying many environmental issues. Belmont can offer a full auto-cad 3D design service to liaise with architects to develop ideas, assess any loadings, provide calculations and advise on appropriate fixings or supports that may be necessary. Our patented manufacturing technique produces an extremely strong, robust and durable product which combines practicality with an unsurpassed aesthetic appearance. satisfaction that their requirements are being closely monitored from inception to completion and beyond.